PRA Health Sciences is a four-story, interior remodel of a former medical facility for a pharmaceutical research and trials company. 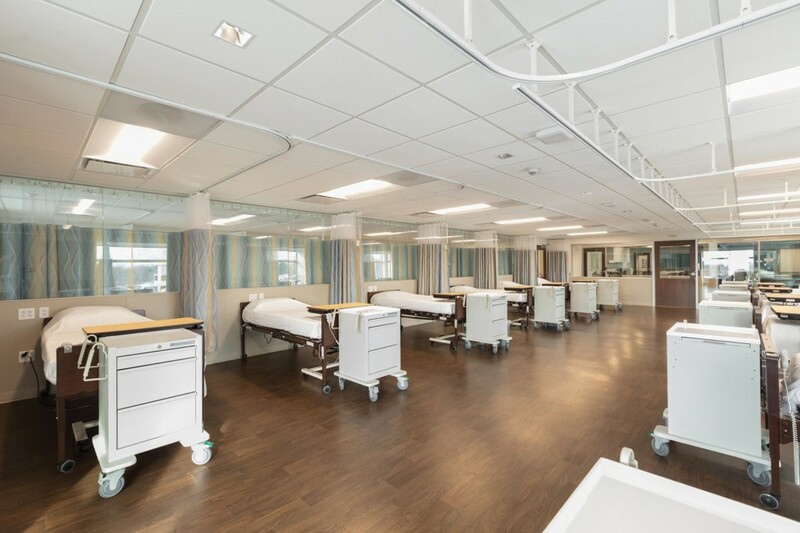 The remodel includes two floors for participant study areas, one floor of support areas, and one floor with labs and technical support functions. 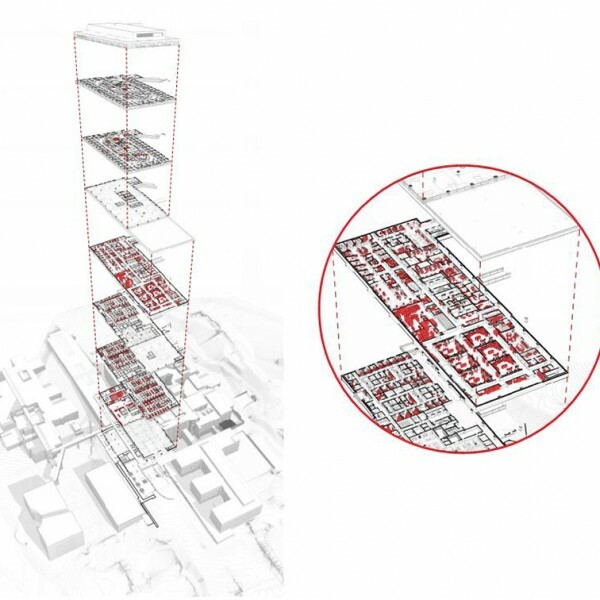 The project includes six participant observation areas, procedure room with X-ray, offices, lounges, conference and training rooms and included accessibility upgrades. One of 10 sleeping suites where participants in clinical trials spend up to seven days depending on the type of study they are involved. 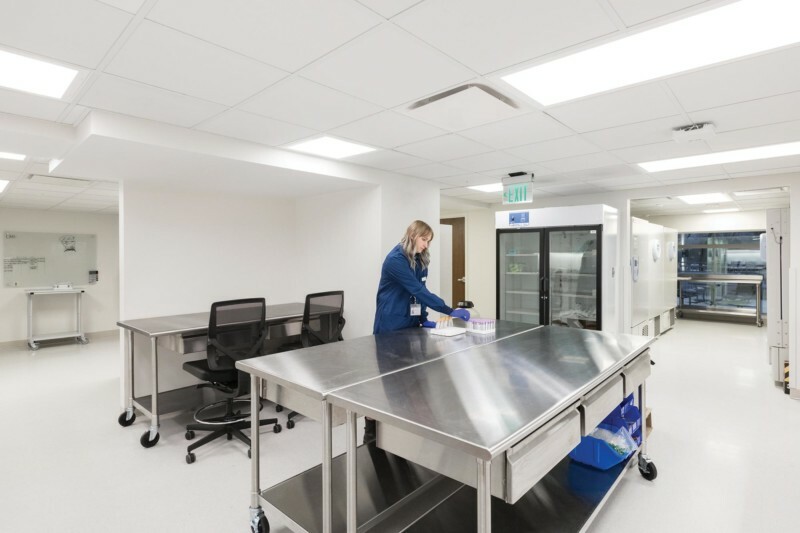 The wet lab designed for in-house specimen analysis is adjacent to the equipment room which serves as specimen storage with minus 80-degree freezers. 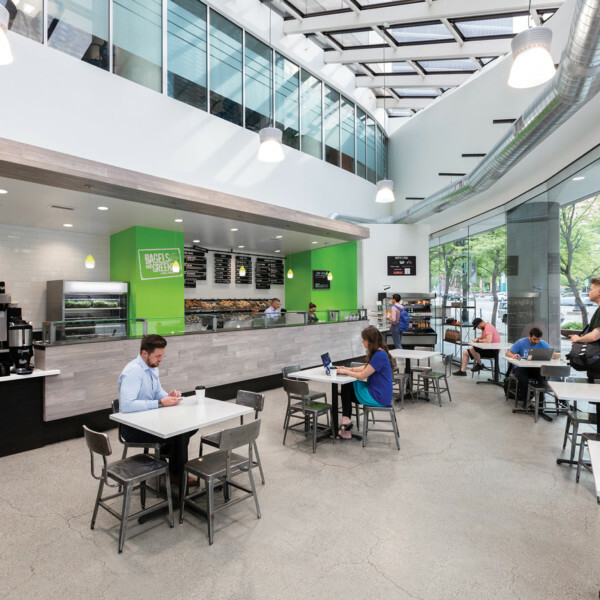 Branding and Super-Graphics were integrated into the interior design to enhance certain semi-public spaces.